Recently I've been trying to stick with a 'theme' on my Instagram account (follow me here) and I much prefer how it looks since ensuring all of my images are light, bright and consistent. I've done this by trying to stick with White backgrounds on every image and also using certain techniques to make my images as bright and light as they can be. With Instagram it all comes down to personal preference and some people may not like this style of feed but for me personally, I prefer my feed to look quite simple and not have too much going on in every picture as this can end up looking quite busy and cluttered. I've decided to do a post sharing some tips for how I achieve bright white Instagram images as it's one question I'm always getting DM's about. I hope you can take something away from this post to maybe apply to your own feed! Take photos in natural light; This is a pretty obvious one but taking your Instagram photos in natural light whenever possible will give you bright images that don't need a great deal of editing. Editing photos with various filters and effects can diminish the quality so taking them in natural daylight is always a good option. I must admit the weather has been so dull lately that it's really affected my blog photography and Instagram images. Roll on Summer - brighter days & light nights. The bloggers dream. Use a white base; If you want to create a white, light and bright Instagram feed, you'll need to take your images on a light base. This doesn't mean you need a house that's all white (although that would be ideal) as there's so many things you can buy to take your pictures on. For example, I recently bought some white floorboards and laid them over my carpet to create a nice bright look on my Instagram feed. It may seem a bit extreme but for £50, it's made the biggest difference. I also use a white rug, my white dressing table or even white bed sheets to get that nice bright theme. I picked most of my 'props' up on Amazon for really cheap so it doesn't need to cost a lot of money but can make a big difference to the overall look of your account. Add a filter; Adding a filter and sticking with the same or a similar one throughout your whole feed can really help create that consistent theme that so many blogger have these days. Long gone are the days of sharing your dinner on Instagram (unless it looks pretty and is on a white table - obvs!) but now people are all about the matching images and this can be achieved with a filter. I used VSCO cam mainly and love the filters A5 and HB1 as these really brighten my images and get rid of yellow tones which I personally don't like. I don't use the filters at full strength (which is 12 on VSCO) as I feel this looks a little harsh so I usually take it down to around 7 which creates a nice subtle effect. I then use VSCO to up the brightness too! I sometimes use Afterlight for brightening too which is also a great app with some lovely filters. 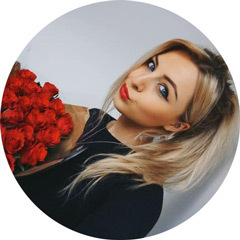 Brighten and whiten; If you really want to brighten your images or in some cases, change the colour of a background completely, you can use Facetune or Snapseed to change colours and brightness on certain parts or all of your photo. FaceTune is supposed to be for editing faces but I don't use it for that - I like to use the whiten tool (which is supposed to be for teeth whitening) to brighten up my images and remove any yellow tones. This is honestly so good as it means if you take an image in artificial light which gives that horrible yellow tone, it can be whitened to make the image appear brighter and also make the image your photographing stand out more. As for Snapseed, this is something I like to use if I only want to brighten certain areas on a picture. For example, sometimes I'll want the background to be nice and bright but don't want the item I'm photographing to look too over-exposed. You can use the brush tool on this app to literally paint where you want to add brighteness. Genius! Remove the warmth; One thing I always do before uploading a photo to my Instagram is remove the warmth from the image. I'm really not keen on yellow tones so I always drop the warmth slightly to make it really white and cool toned. Sometimes this adds a slight blue tone to my images too but I don't mind that too much and feel it adds to the overall look I'm going for. 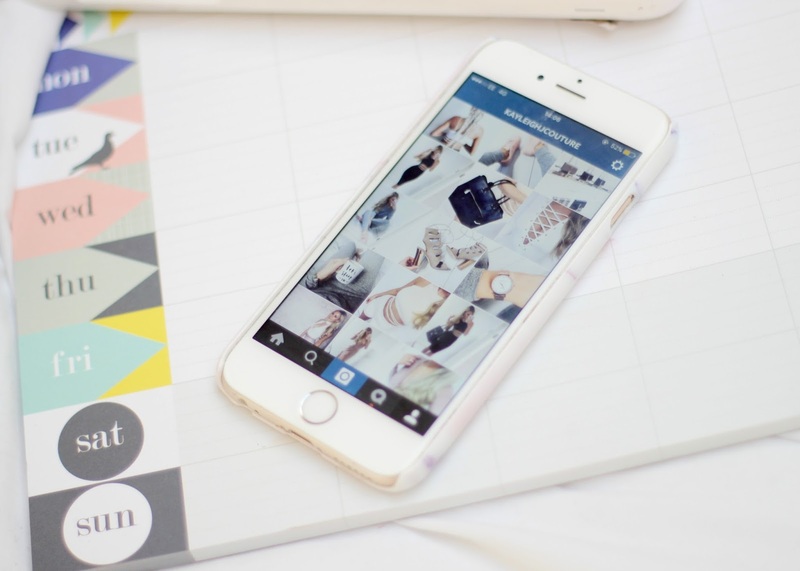 So there's my top five tips to create a white and bright Instagram feed! I apologise if you already knew all of this but if not, I hope you picked up a couple of tips! I'd love to know what little tricks you use on your own Instagram feeds too so let me know in the comments below. You can also follow me here if you want to keep up with my posts! SUCH a helpful post, thank you!!! I too have found reducing the warmth of my photos has helped them look much more 'Instagram friendly' haha. I also like to increase the 'highlight' on my photos! Fab post, I never think about the warmth of my photos but I'll be looking at that next time I take an instagram! I love facetune for whitening photos. Love your IG feed! Upping the brightness and removing the warmth is always my go to as well! Great tips! I'm always trying to get brighter/whiter photos! Thank you for these comments, I always forget about adjusting the warmth of my photos! You could also go to Homebase or a shop like that where they have wallpaper, you can take a white wallpaper sample for yourself! Thanks for all the tips! Very helpful. Especially the warmth and the floor board tip! I hadn't thought of that. I can't wait to get gramming! It's nice you have a theme, I personally find white a little boring after a while, even thought I want to redecorate my bedroom to virtually all white :P I like a bit of colour I think it makes things interesting and different. This post is so helpful! There's some hacks on here that I never would have known. I've recently started up a beauty and lifestyle blog Sincerelyjess.co.uk and my downfall is definitely my images. Thank you for this!